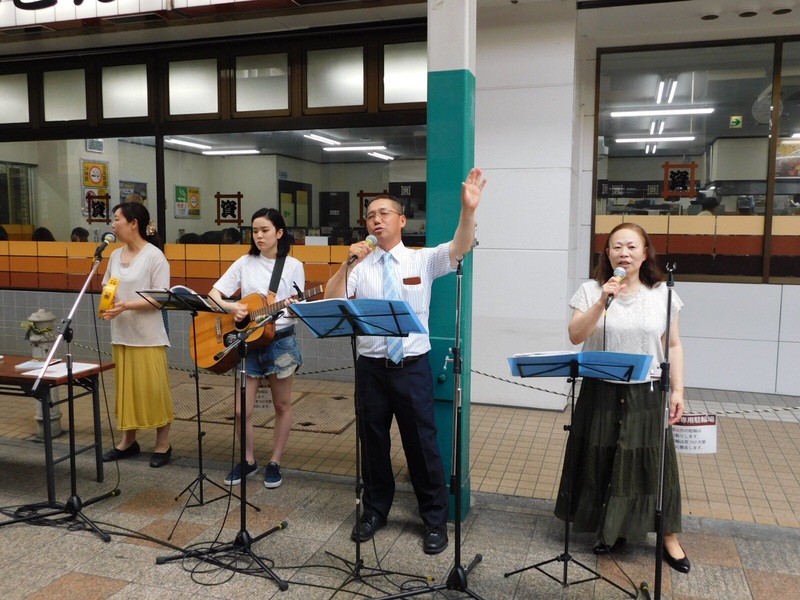 On Sunday, July 9, the Miracle and a Praise Band “J-Gospel Team Praise Band Of Heaven” held a charity live concert in support of Family Home Kokura-Kita-ku Uomachi Shopping Mall. 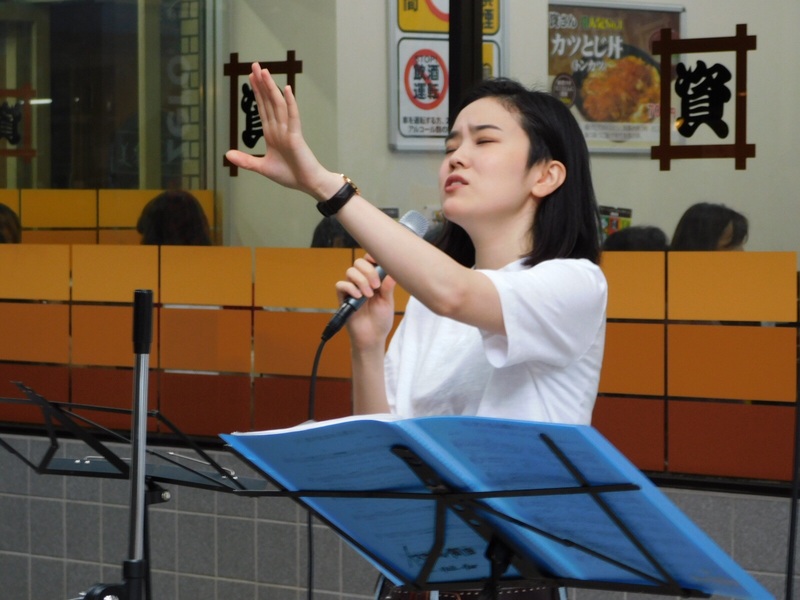 As the praise bands begin to sing songs from “Kaze-no Hibiki” and “Yasuragi-no Uta” songbooks, many poeple who were interested in the praise and worship were listening to us intently. The family of a musician were listening to us intently and donated willingly for the family home. Also a parent and his son donated willingly. 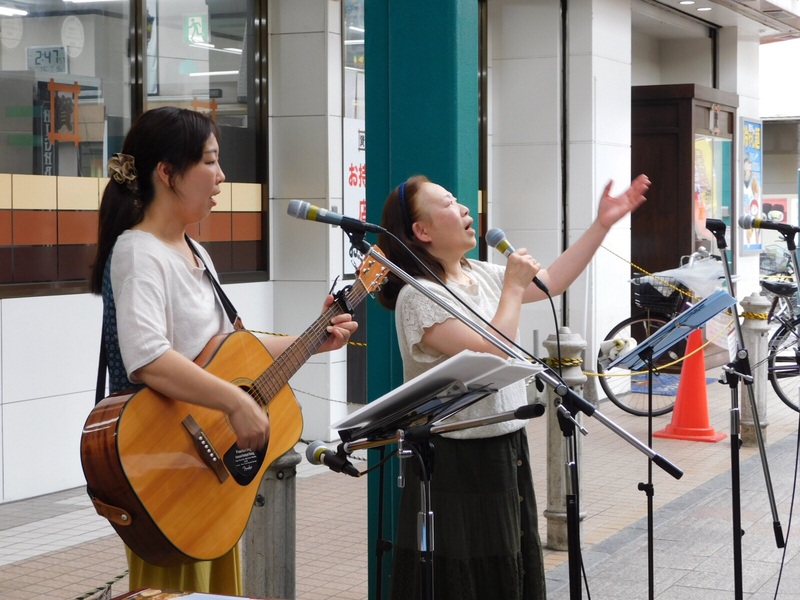 Many people accepted the newsletter this day, and the sum of donation of love amounted to 1520 yen. It was a wonderful charity Live concert with the grace and blessing of “Thanksgiving, Praise and Revival Camp” overflowing.